CHICAGO (WLS) -- The long-awaited American prosecution of narco-lord Joaquin "El Chapo" Guzman will take place in New York, but the star witnesses are expected to be a pair of brothers from Chicago who betrayed him, the I-Team has learned. Tag-team testimony from Margarito and Pedro Flores, turncoat twins from Chicago's Pilsen and Little Village neighborhoods, will likely be the most damning evidence against El Chapo, 62. The Flores brothers will testify about El Chapo's business-like approach to his Sinaloa cartel, including the use of torture and murder to send messages like most CEO's use emails. "Guzman's guilt will also be proven through consensually recorded conversations of Guzman during which he discusses specific drug transactions" federal prosecutors say undoubtedly referring to the Flores' who were trusted aides to Sinaloa's kingpin from 1998 to 2008. During that time authorities estimate the Flores brothers slung 71 tons of cocaine in Chicago and other U.S. cities, worth more than $2 billion. Fearing arrest in the U.S., the duo secretly "flipped" on El Chapo and his cartel in 2008, covertly recording conversations with the billionaire and providing federal authorities with a window to his cartel. eL Chapo supplied 80 percent of the cocaine sold on Chicago's street in 2013, according to U.S. drug agents. Their cooperation, thought to provide the most potent insider view El Chapo, "detail in real-time drug trafficking activity" according to prosecutors. 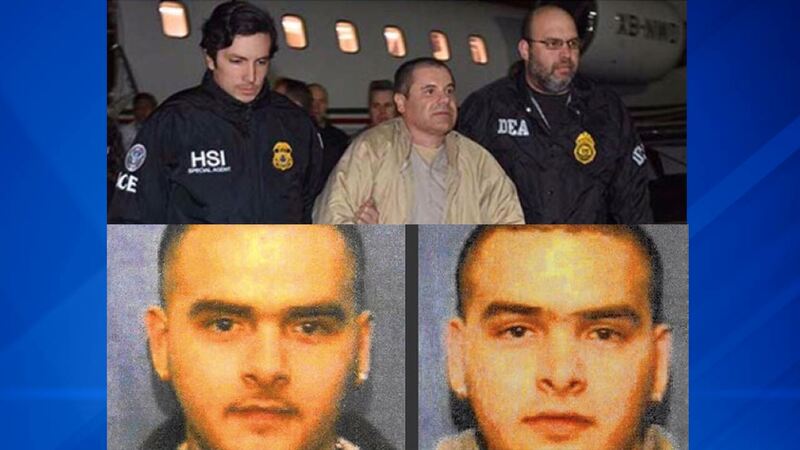 The Flores twins, 35, will offer personal knowledge of the private army, navy and air force commanded by El Chapo to move his shipments into Chicago, New York and other U.S. markets. eL Chapo, known as "Shorty" behind his back, built a fleet of tractor-trailers, aircraft (including a Boeing 747,) luxury yachts, fishing vessels, container ships and even submarines to deliver the goods. A Chicago prosecutor labeled the Flores brothers "the most valuable cooperators this district has ever seen." During the time they were secretly gathering evidence against El Chapo's Sinaloa cartel, if they had been exposed "they certainly would have been killed." After their undercover work for the U.S. Government, in what was considered a revenge killing, the Flores' father was murdered by a cartel hit squad in Mexico. As extradition from Mexico was in the works for El Chapo, the Flores siblings were thought to be a major reason that Chicago prosecutors had the best case against the feared and elusive narco boss. However, even though New York has landed the case for prosecution, jurisdictional lines do not prevent U.S. attorneys from blending evidence gathered in several federal districts especially since the cartel boss is charged with overseeing a network of operatives that distributed cocaine across the nation. A court filing from federal prosecutors last week emphatically stated that security is in place to ensure there will be no jailbreaks while El Chapo is in U.S. custody. Homeland Security special agent Angel Melendez said at a news conference in New York "I can assure you no tunnel will be built to his bathroom." That quip refers to Chapo's tunnel escape from Mexico's maximum security prison No. 1 known as "Altiplano", in the state of Mexico. It was the first successful escape from the facility. The U.S. attorney in Brooklyn, New York, pledges to parade witnesses into court who will testify about El Chapo's extended drug network and his ruthless enforcement of cartel rules. Margarito and Pedro Flores are the highest-ranking El Chapo operatives to turn against him. The brothers are in the government's Witness Security Program (WITSEC) and held at an undisclosed location. They have not been publicly seen since their sentencing in Chicago in January 2015. While numerous other top Sinaloa cartel aides have pleaded guilty to trafficking charges in Chicago and elsewhere, none risked going undercover against Chapo. When the Flores brothers secret recordings of their conversations with El Chapo himself are played in federal court, prosecutors hope the drug lord's words will speak for themselves. By his official name Joaquín Archivaldo Guzmán Loera, Echapol Chapo is charged in six federal locales. While New York gets first crack at him, that fact doesn't mean Chicago authorities couldn't prosecute him in the future, necessitating a repeat performance by the Flores twins in their hometown. Odds are however, that if the kingpin is successfully prosecuted in New York and sentenced to time in a U.S. "supermax" prison, the government would not spend additional time and money to put him on trial elsewhere on similar charges, not to mention the security risk of moving him and the Flores twins.